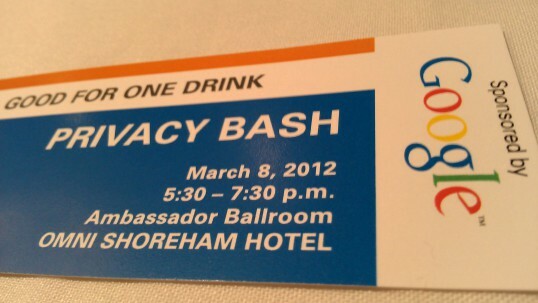 I am attending the IAPP Global Privacy Summit, the biggest privacy industry conference. Google has sponsored the networking happy hour and has bought me a drink. Do I thank Google or thank myself for using Google's services? This page contains a single entry by Tim Lisko published on March 7, 2012 10:38 AM. UNIX History was the previous entry in this blog. European Data Protection Supervisor issues opinion on the EU data protection proposals is the next entry in this blog.